This must be my new favorite creation!! 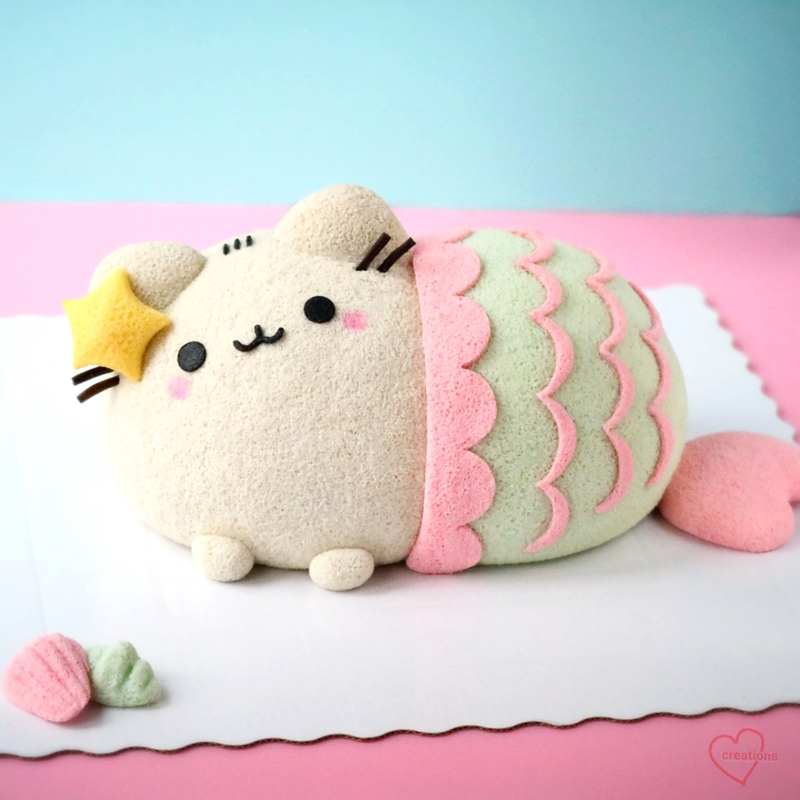 As I love Pusheen and the Pusheen Mermaid is so super sweet! This is a little like my previous creation Pusheen Cat Chiffon Cake, except it's vanilla-charcoal flavoured instead of black sesame. I opted for this flavour as it was a little hard to control the shade of the black with black sesame. For charcoal powder, I could add any amount I want without changing the flavour of the cake. Some exciting news! 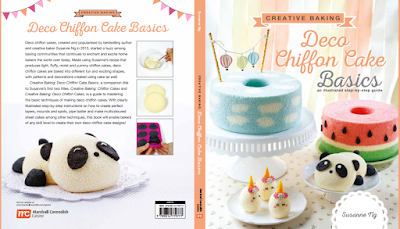 My new book Deco Chiffon Cake Basics is going to hit the bookstores next weekend! It's a step-by-step picture guide to make it easier to understand as compared to previous books. Its focused on basic techniques of Deco Chiffon Cakes. Book cover is below for your reference =). Have a meow-gical week ahead! Do you make it for sale? Can you make one for my daughter's bday? So sorry the Pusheen are not customised cakes for sale. I collaborated with Pusheen to make some designs (fanart). Thanks!